Amar Swastik Thogiti from Mancherial, a small town in Telangana has recently hit the headlines thanks to his YouTube channel ‘Learn with Amar’, which helps the UPSC aspirants to prepare for civil services exams. The kid is among the youngest YouTubers who learned tricks to get by heart complex things with ease from his father. He started his channel with geography lessons where he taught tricks to remember names and locations of countries and rivers with ease. His next attempt will be to provide tricks on economics and political science. About starting the channel Amar said that he loves playing with the Atlas since long. When he was in Class V his father started teaching him geography after seeing his interest in this subject. Once, his mother recorded the tutorial that he was providing on geography and posted it on YouTube. The posting earned huge hits following which they decided to feature such videos regularly. At present, his YouTube channel has over 1, 87,000 subscribers. The ninth Class student has reportedly learned some hacks from his father who is a government school teacher and a resource person for teachers training in his district. When it comes to the aim of life Amar himself is interested in the civil services. He wants to work with the government to make the country corruption-free. So does his involvement in YouTube hampers his preparation for the Class course? Amar maintained that since he works on the video only on weekends, he has all the weekdays in hand to prepare for the Class course. So, his extra work never comes on the way. Aspirants of competitive examinations posts requests based on which, the kid learns subjects and create videos. It takes him about two weeks to research a topic before making a video. The prodigy also loves cosmology. He reportedly watches videos on the same in his free time. Besides, his favourite subjects are mathematics and physics. And when it comes to books the kid’s best choices are ‘The brief history of time’ and ‘The Alchemist’. 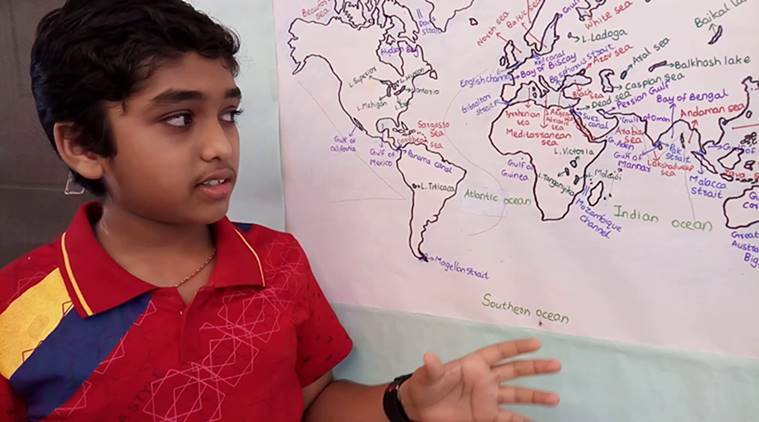 Amar’s younger brother Angh Vignesh (10) has also joined his brother and so far has produced about 10 to 13 videos on the same channel.